Welcome back to Day 9 of Freedom from Clutter in 40 Days. 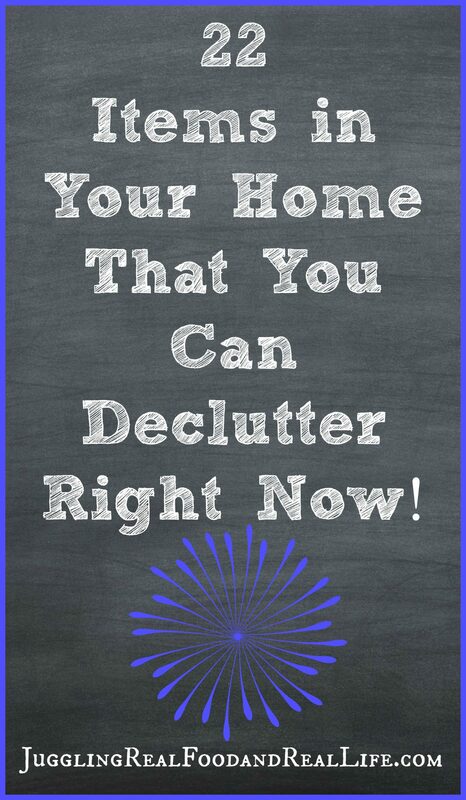 If you are tired of the burden of clutter then this series is for you. Day by day we are getting rid of the items that weigh us down, slow us down, and get in the way of having time to spend with our families. Today, I am sharing ideas on how to make a noticeable difference in your home with just a short amount of time. Big impact without a lot of effort. The more you declutter, the more you realize that your belongings can play mind games with you. Perhaps, this is why decluttering is so interesting to me. As someone who studied psychology (I’m not licensed for anything psychology based) in college, I have a particular interest in human behavior. From little kids to senior citizens, we all have attachments to our belongings. Why is that? We can dig into that later in this series and during our own therapy sessions, but today I’m going to keep it simple. Sometimes instead of having to deal with items that require a lot of thought, we should just set our timers and declutter some easy stuff. I’ve created the following list to be our “easy to declutter” stuff. Leave me a comment and let me know what you would add to this list. We can be a help to each other as we battle the clutter that has taken away the freedom that we deserve. I like to think of this as my “Duh! Why do I still have this?” list. These are the things that we hold on to because we are just too busy to deal with it and because we have not developed the habit of decluttering on an ongoing basis. We’re working on that, but in the meantime let’s toss some stuff that we should have gotten rid of a long time ago. Get rid of this stuff now! Anything else you hold on to “just in case.” Just in case of what??? Get rid of it. We are all so busy trying to lead perfect lives that we often don’t think to get rid of things when they no longer matter. It’s just easier to stuff things into closets and drawers, until the chaos takes over. Let’s take 15 minutes to declutter items that we should have gotten rid of long ago. And then……take a deep breath and enjoy the empty space. On another note……..if you are interested in simple recipes your family is sure to love, make sure you check out my recipe index. I am adding new recipes all of the time so make sure you check back often. You will also want to grab this free meal-planning printable calendar to make your meal planning easier. It has areas to plan your daily activities and your evening meal prep. For more decluttering tips in the Freedom from Clutter in 40 Days series, click on the image below.